Thinking about travelling to the USA in 2017? Well you’re in luck, because the travel experts at Lonely Planet have just revealed their annual list of the most exciting US destinations to visit next year. 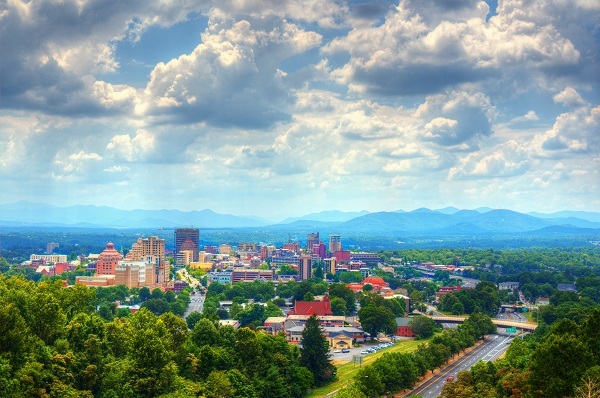 Top of the 2017 list is Asheville in North Carolina, also known as ‘beer city’. Asheville came in first place thanks to its welcoming atmosphere, interesting architecture, fantastic bars and restaurants plus its budding artistic community. In second place was the setting on hit TV drama Twin Peaks; Western Washington, which scored points for its stunning landscapes. Coming in third was Lincoln in Nebraska, which is celebrating its 150th anniversary in 2017 with festivities throughout the year. The destinations above all offer a diverse range of attractions, but were all chosen because travel experts think they are set to really shine next year – whether they’re up and coming, lesser known or are simply offering new reasons to visit. Now that we’ve inspired you, just remember to book travel insurance after booking your trip. Without quality US travel insurance, you could fall vulnerable to expensive costs of something goes wrong, especially as health care in not free in the States. Visit Holidaysafe.co.uk for more information on affordable and award winning travel insurance.